Decades in the making, Ko Olina is Hawaii’s most luxurious resort destination. Historically considered the playground of Hawaiian royalty, Ko Olina is truly the ultimate vacation haven. A mesmerizing refuge on Oahu’s most picturesque beach, Ko Olina’s temperate year- round climate offers a soothing and calming escape. Surrounded by pristine lagoons and the crystal blue waters of the Pacific, the Beach Villas Resort features endless amenities for your pleasure and comfort. The resort grounds abound in the uniquely colorful foliage and fauna of Hawaii. 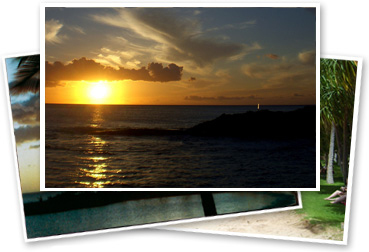 Learn more about the area at our Ko Olina blog and read our guest reviews on Trip Advisor. Our spacious 1,500 square foot suite (2008 construction) is the only beach-front penthouse available for rent at the prestigious Beach Villas Resort in Ko Olina and the only privately rentable condo with panoramic ocean views from every room. It is the perfect match for people who want the best of the best.